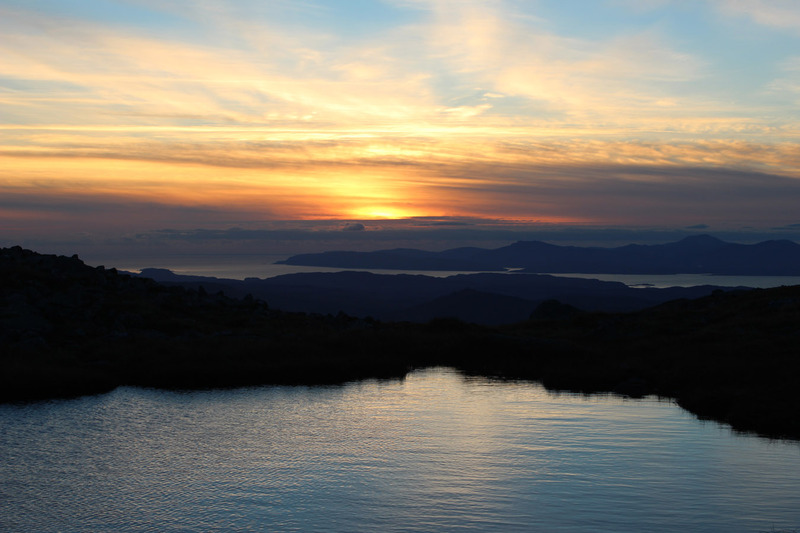 Weather/Conditions: Amazing autumnal weather - crystal clear air and a sunset over the west coast. Golden light and the days shortening noticeably. 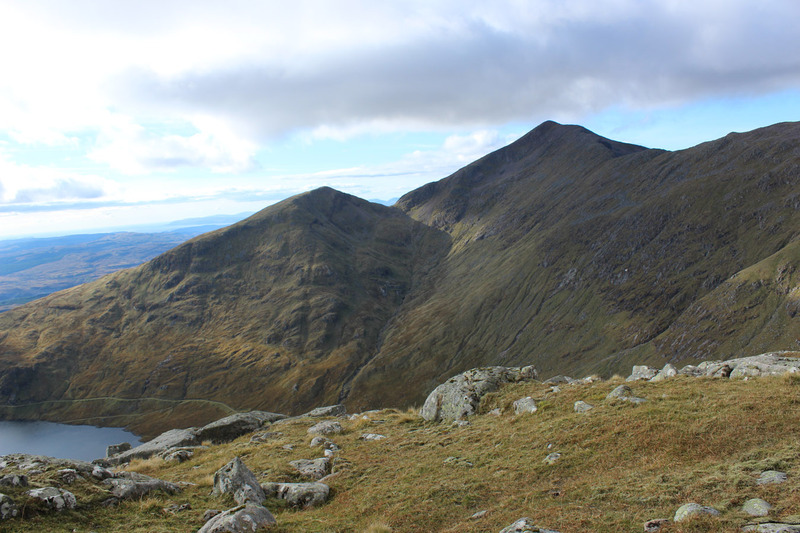 Ben Cruachan was one of the first mountains I climbed, and it is one that I've been up many times since. But I've never been entirely lucky with conditions and out of many visits I'd never managed to have a sunny day on it. As time goes by I'm slowly (slowly!!) 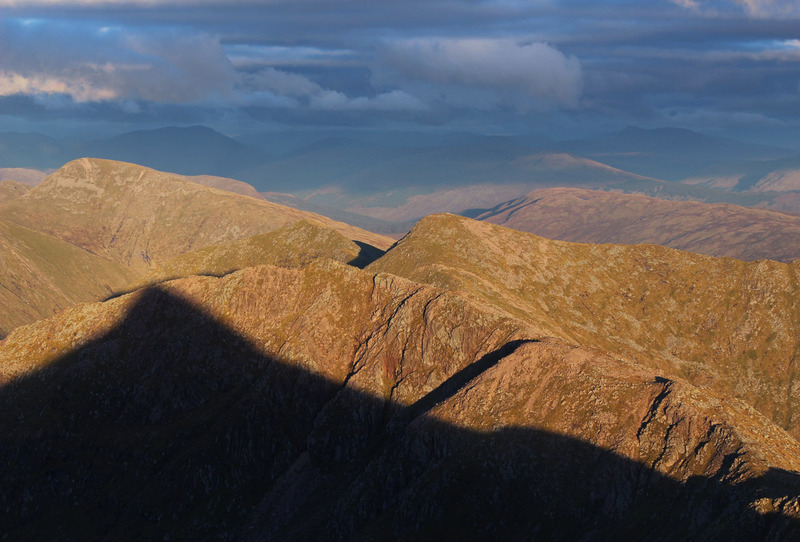 closing in on panorama-ing all the Scottish Munros. And with several visits to Cruachan and nothing but mist to show for it, it had become an obvious omission from the collection. 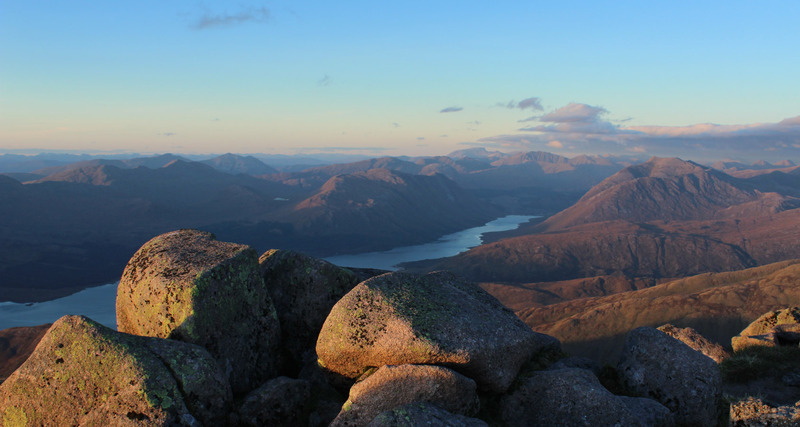 At the same time, I was on a brief Munro bagging spree, and drove up from Glasgow under crystal clear skies. Even before beginning, I knew it was going to be a good one. 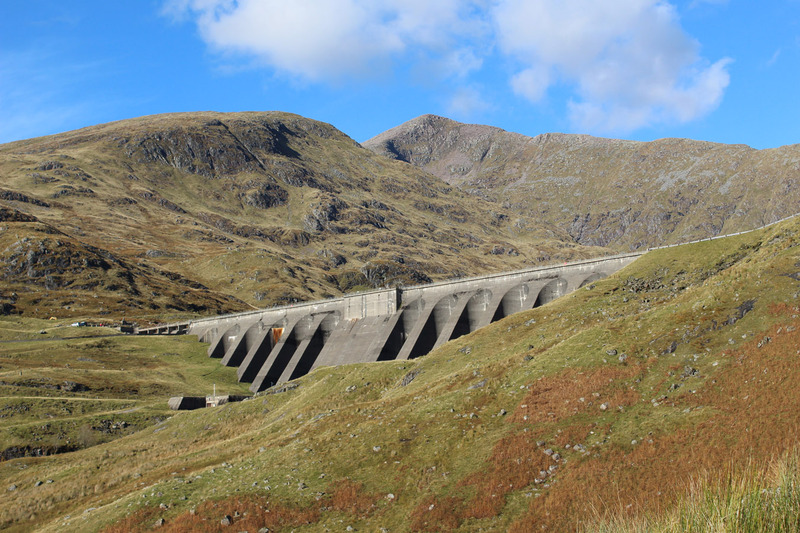 Leaving Falls of Cruachan was an nice experience - last time I was here it was the start of the 2013 summer. The rain came down hard that day, utterly unrelenting; cold, torrential rain that fell from a leaden sky. 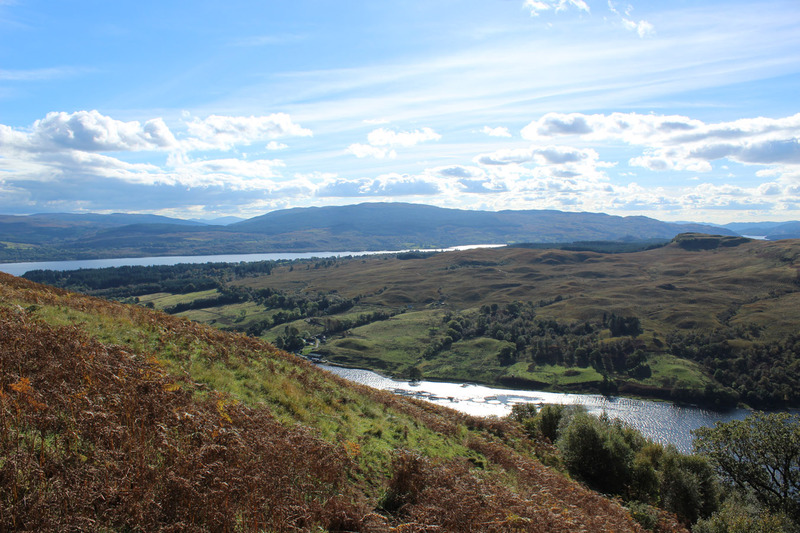 That day I'd cycled to Falls of Cruachan drenched, and the prospect of struggling around the Horseshoe all day (and the prospect of struggling from now all summer) made me really low. That was a hard hole to walk my way out of, but I strangely managed to do so (what were the other options?) 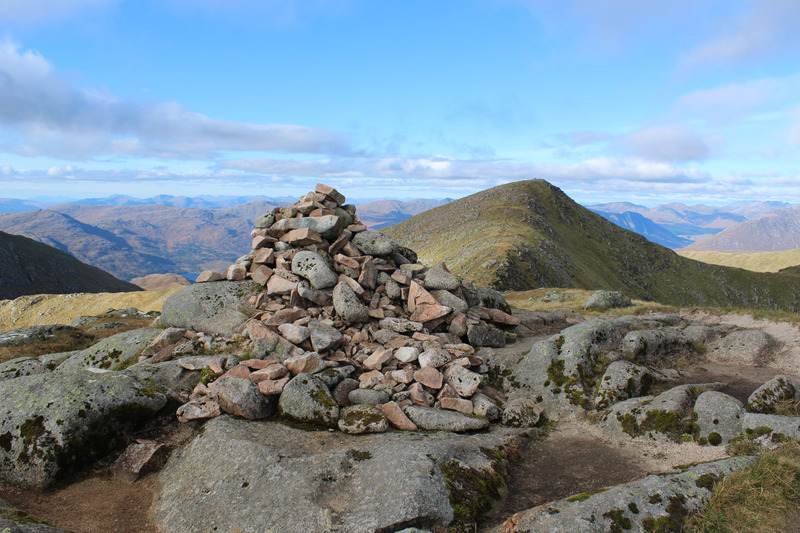 and went on to finish the Munros in 98 days. But today was beautiful. And there was none of the extra baggage; just a quick carefree pace on a sunny October afternoon. The only need was to beat darkness, but that I wasn't too concerned about either. 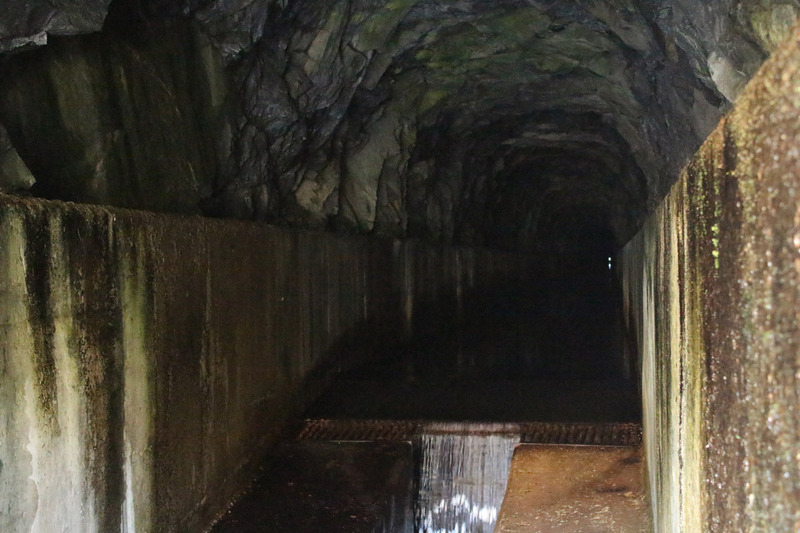 Beneath the dam I went right, under the flank of Beinn a' Bhuiridh and past the hole-through-the-hill. 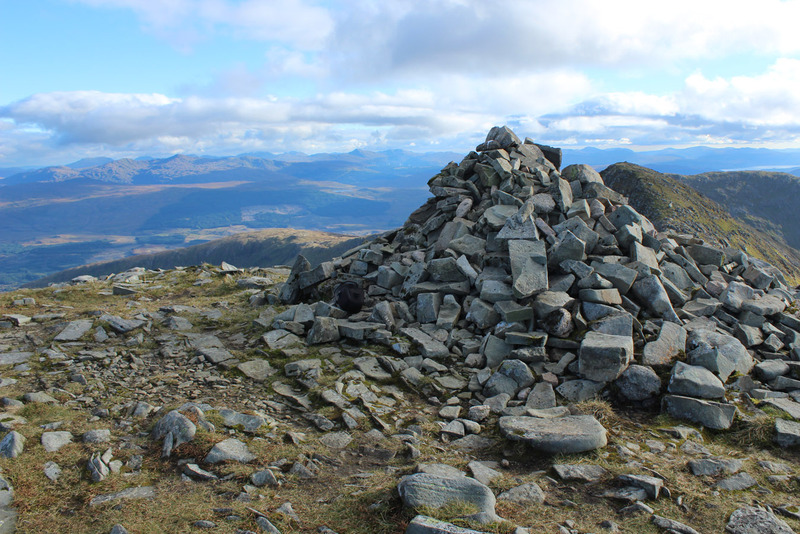 I took a long plod up toward Stob Garbh with views opening out south, and with views of Ben Cruachan I've never seen before. 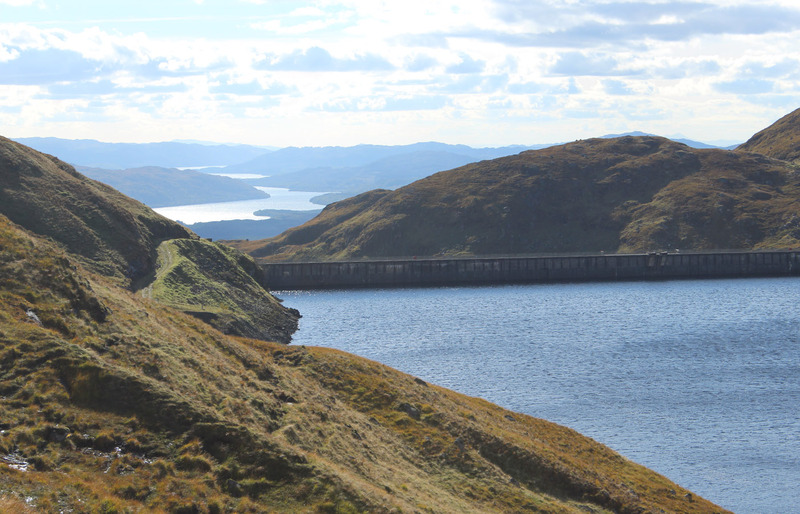 I genuinely hadn't known how it looked from the dam, the weather has always been so poor here. 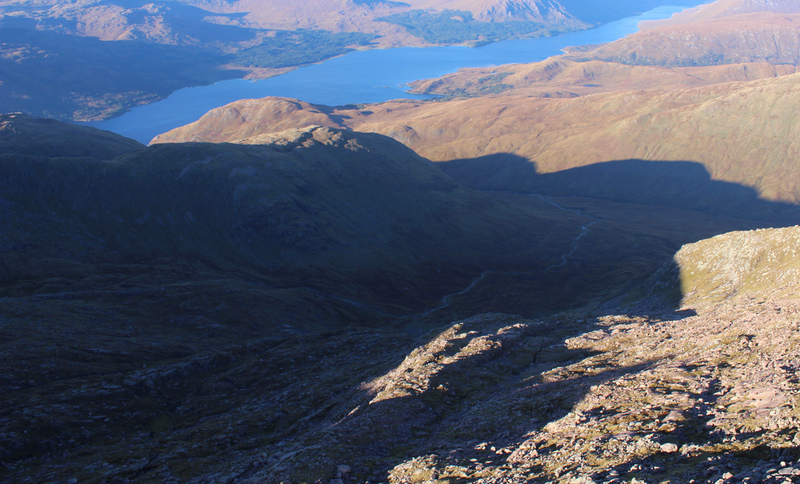 It was a stunning ridge walk once the tops were gained. 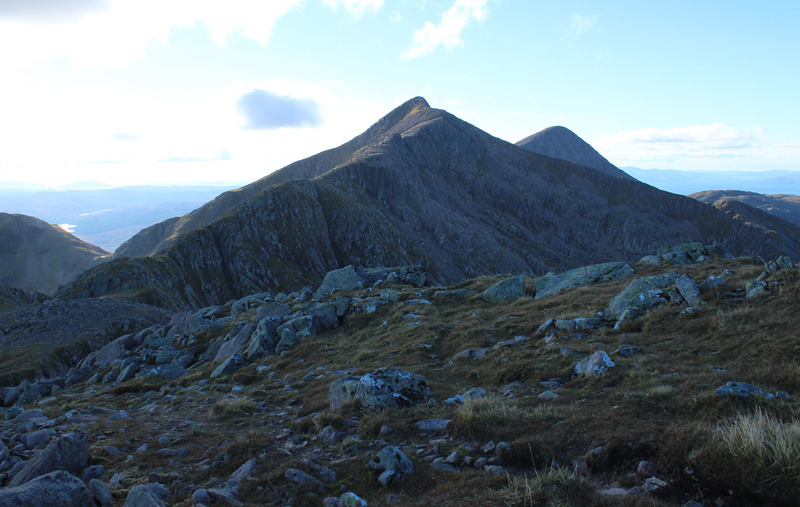 I continued to Stob Dàimh (not Diamh anymore ;) ) then past Drochaid Ghlas. This is also the first time I ever caught a corner of some asthma that has now crept in - a light tightening of the throat which I caught my first glimpse of on this utterly still day. It really was utterly still. 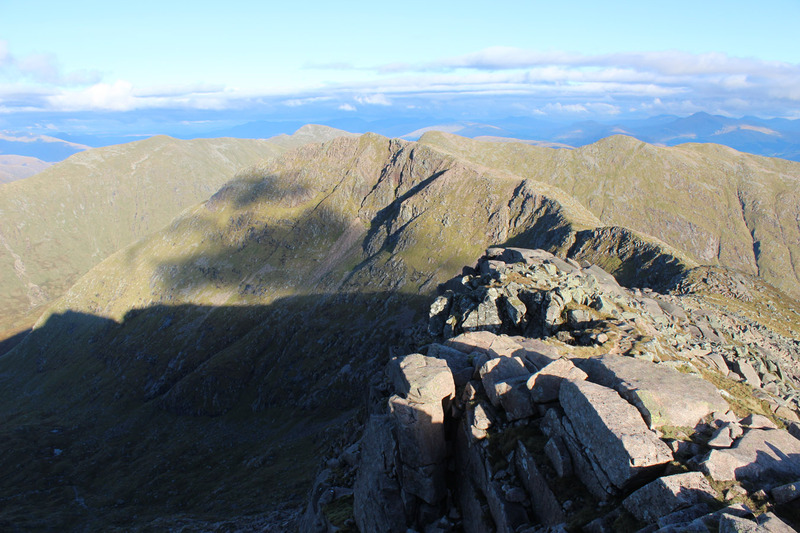 I bathed in sunshine on the summit of Ben Cruachan. In the shadows of the north coires the stags rutted and roared, guttural sounds piercing the silence and peace. The mountains all glittered, and the light would only improve. 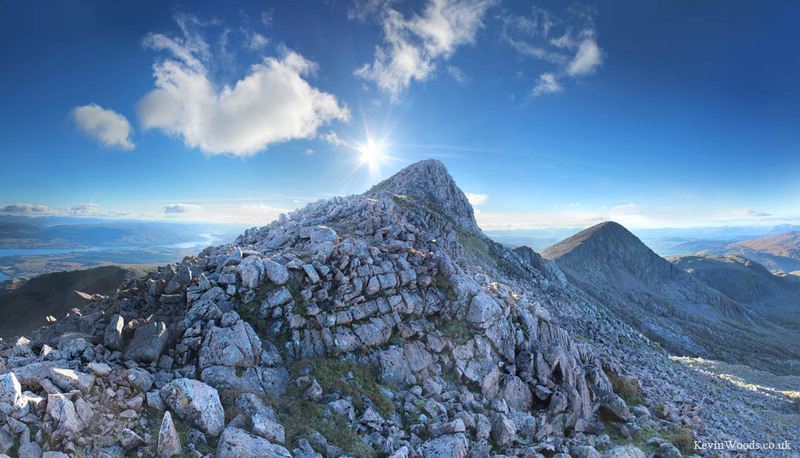 I also got my much-wanted Cruachan pano - at last. 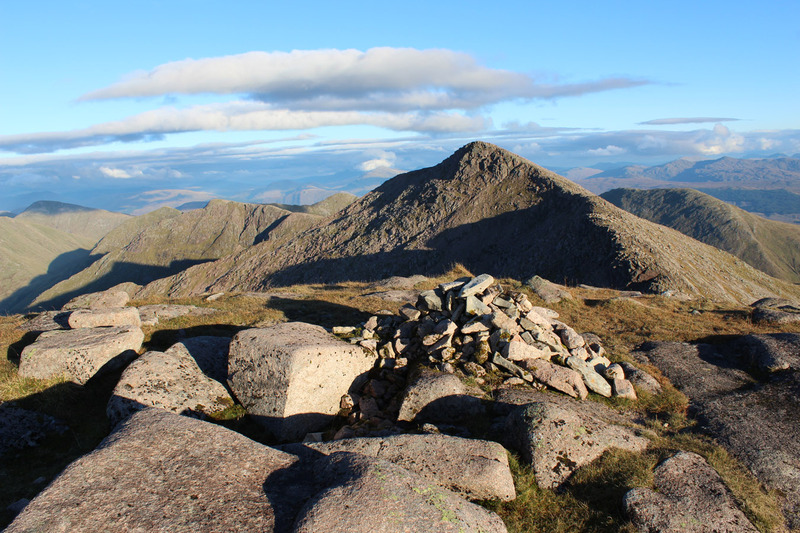 I headed out to Stob Dearg, a very prominent 'Top' and my last on the Cruachan Horseshoe. 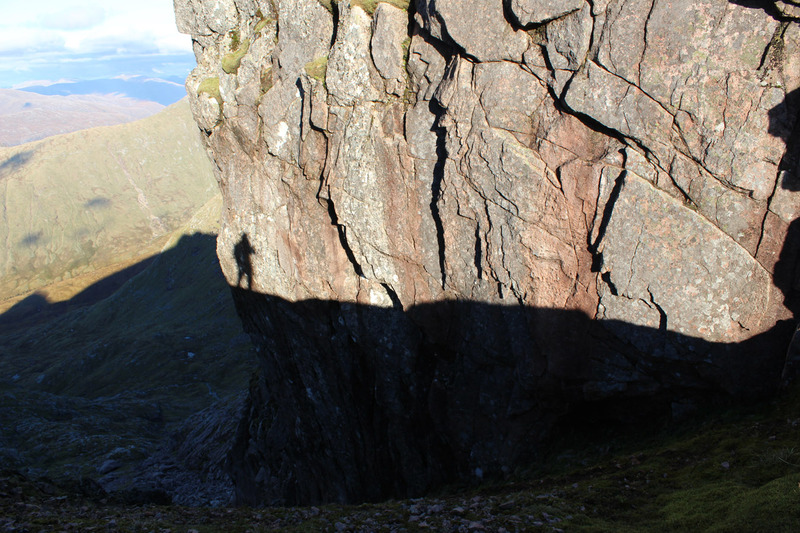 I had a peek down into the north cliffs on that ridge, a known winter mixed climbing ground. 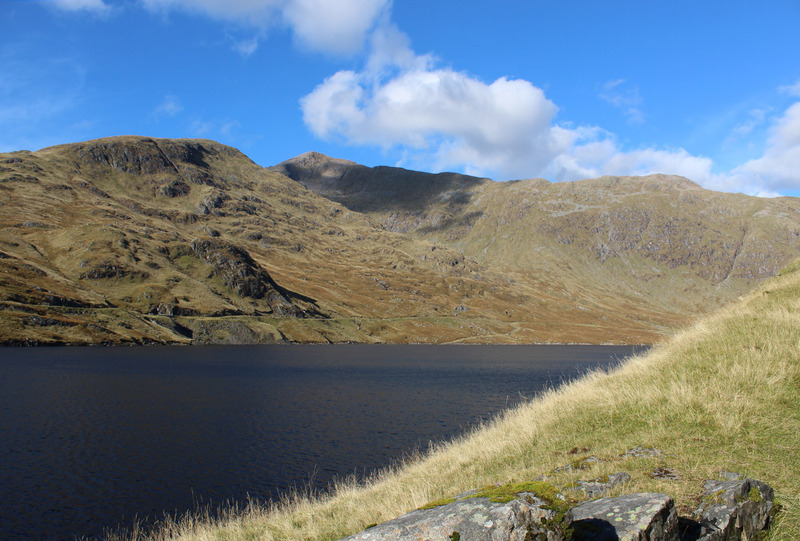 It is a stunning counterpart to Cruachan, the two of them make an impressive pair of high peaks. Time just slid by gently. 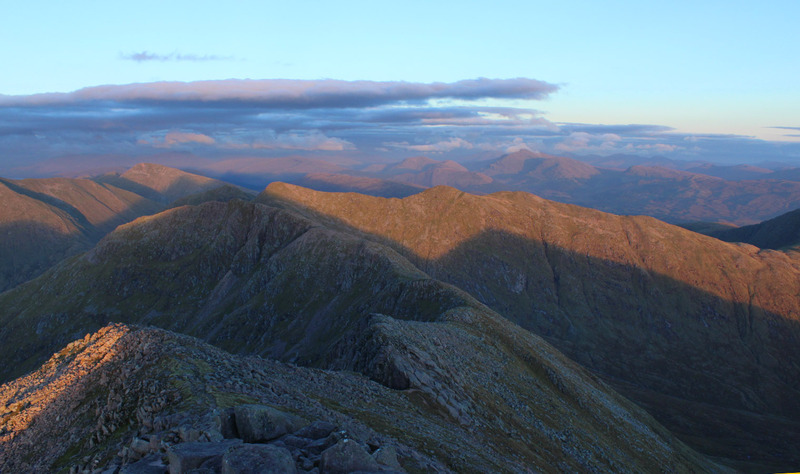 I wandered back to Cruachan to take another panorama here with more of the sunset. I hung around to watch the day pass and take photos. 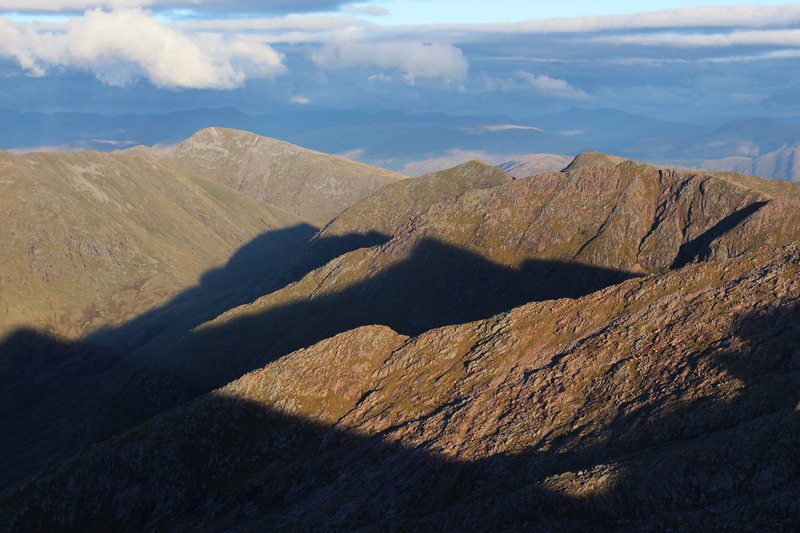 Shadows on the hills became elongated, dark shapes carved on the evening sun-washed hills. 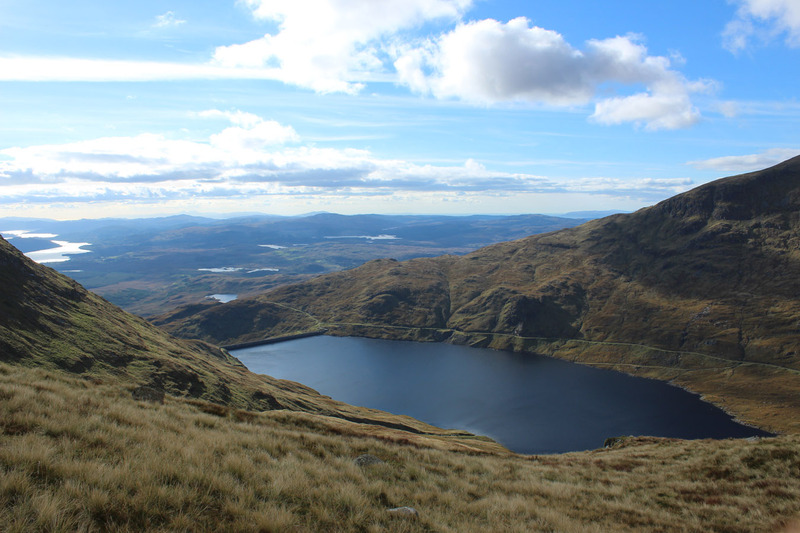 And eventually I would have to head down, setting off from Cruachan in a tranquil mood, brim full of certainty, peace and contentment. 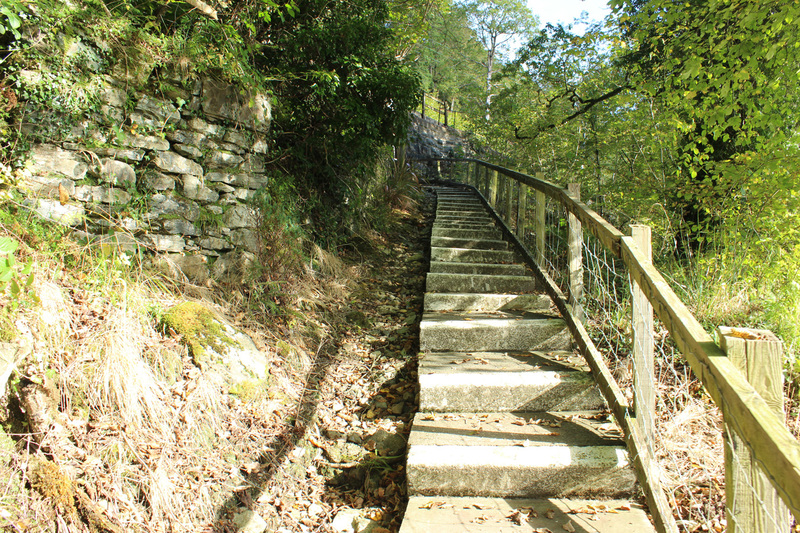 I set off from the summit at a trot, and found I was enjoying the running. When I go downhill I don't really feel it as being hard physical effort, it's moderate but the distance I can cover is just nuts. And as the sun fizzled out in the west, I continued jogging down into the twilit reservoir, along the track (still jogging - not like me!) to head straight into the trees at a pace. I reached the car 49 minutes after leaving the summit. It only took me about five attempts, but finally this day gave so generously and I'm glad to have spent one day in that high glittering world on Ben Cruachan.